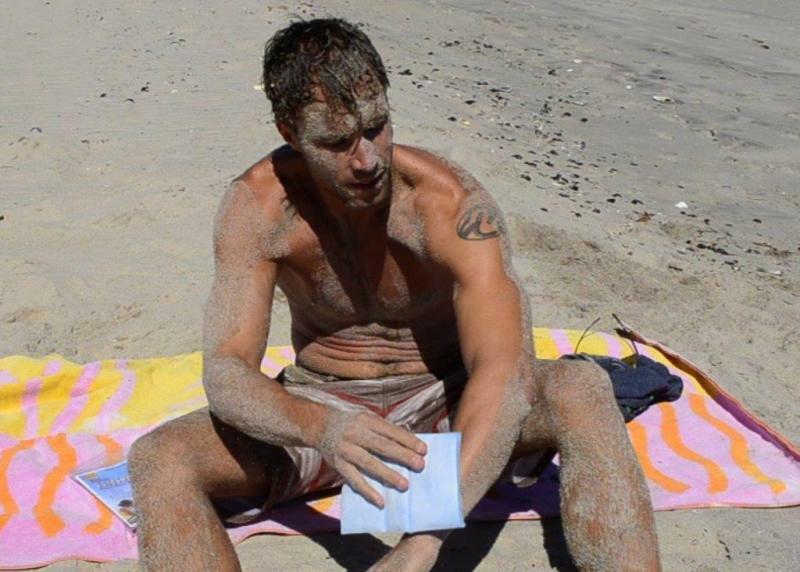 Releases sand smoothly from skin. Anywhere on your body! Sand returns to the beach, not towels! All natural, No Need For Powders. Safest For Kids! 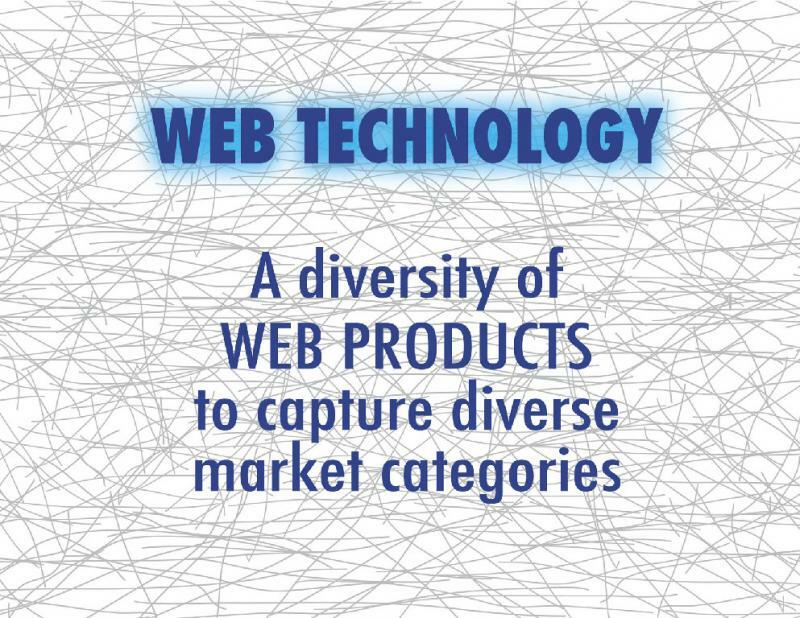 SandSweepers™ and associated product lines deal with a safe, modern patented sand removing and entrapping synthetic fiber web design and construction system that removes sand from the skin without the usual feel of sand skin abrasion. 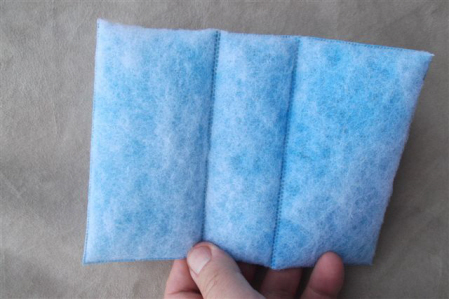 This unique product surrounds the sand then gently flips it off your skin, or into the pad. 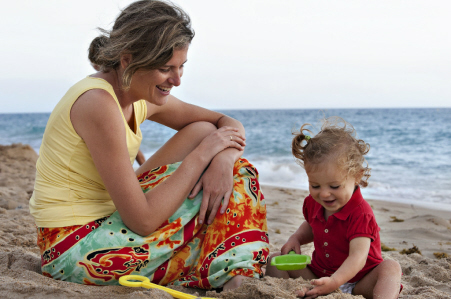 All powders commonly used by mothers today to rid their childrens bodies of sand can cause, eye, throat, and lung irritations to anyone, including toddlers and young children. Sandsweepers will eliminate this potential health hazard. Remove your SandSweepers pad and gently place the SandSweepers soft fiber surface on the areas to be cleaned. 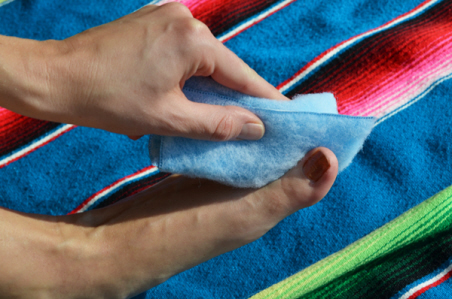 Sweep the pad gently over the skin. There is no need to apply excessive pressure. 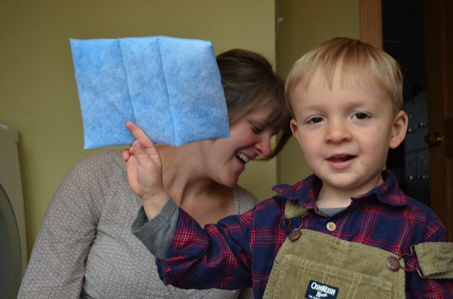 Wipe infant and toddler faces gently. 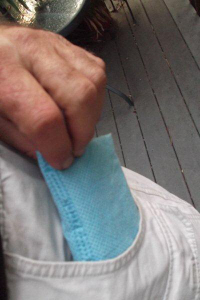 Ergonomic design allows the pad to be folded on any one of its seams so that it can be used to wipe arms, legs, or in between fingers and toes. SandSweepers can be used anytime on wet or dry sand. The best time to use SandSweepers is before applying suntan lotion or at the end of the day when its time to clean up and leave the beach. 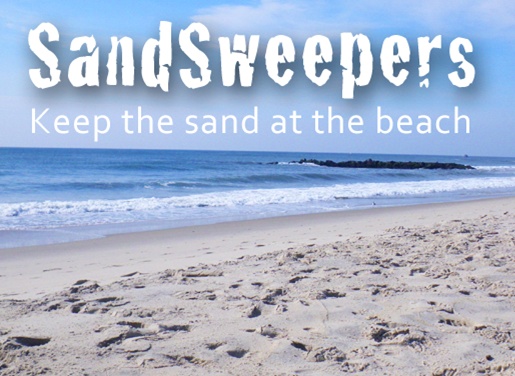 SandSweepers "leaves the sand at the beach" instead of carrying it around in your towels, clothes, and ultimately into your car and home. SandSweepers can be easily renewed by shaking when it becomes too full. Use it on your other gear, such as sandy coolers, umbrellas, etc. Store your Sandsweepers in the convenient zip lock bag to contain any residual sand in the pad when not in use. Remove the paper insert and give it to a friend or neighboring person on the beach. They will thank you for spreading the word about this amazing new sand removal product.